15th Annual LFP Garden Tour – Save the Date! It’s almost spring! Save Saturday, June 17 for the 15th annual Secret Gardens of Lake Forest Park Tour and Market. This year’s gardens include a plant collector’s haven, a contemporary garden with innovative solutions, enticing garden rooms, a natural woodland with plantings from Heronswood, and gardens with tucked-away treasures, artwork and unique sheds. “The gardens on the tour this year are exceptional. Each one is special. 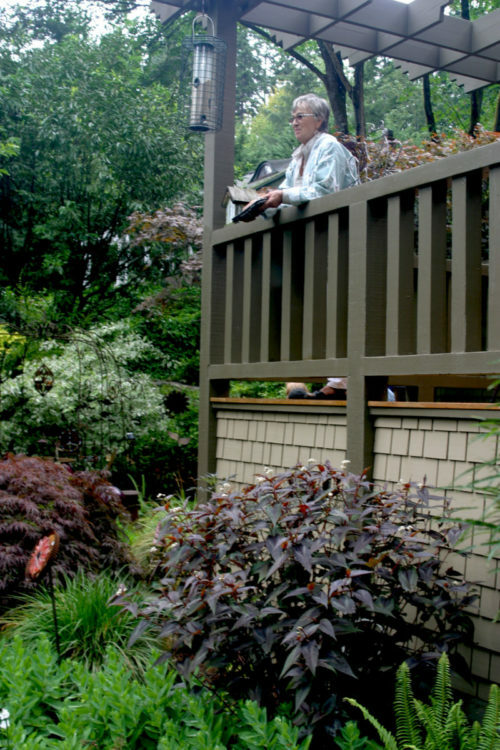 Visitors will be delighted by the creativity of the garden owners,” said Judy Roberts-Wabey one of the garden sleuths. Tickets are $15 in advance and $20 at the door. Advance tickets will be available at nurseries and online in early May.